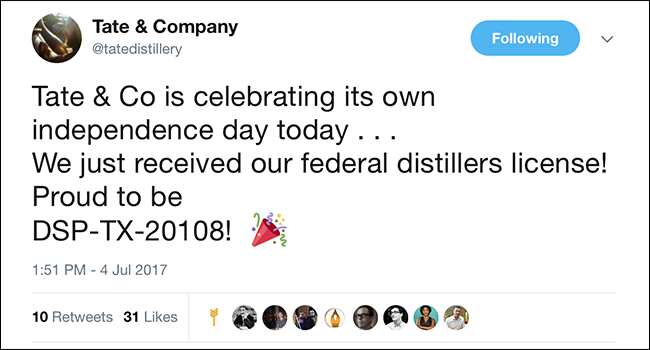 July 5, 2017 – The often-delayed debut of maverick distiller Chip Tate’s second act in the whisky business is a step closer to fruition, now that Tate & Company has received its Distilled Spirits Plant permit from the Treasury Department’s Alcohol & Tobacco Tax & Trade Bureau. The “DSP” is the basic federal permit required for operating a distillery, and requires an extensive list of disclosures from would-be distillers along with a background check and site review in a process that averages around six months. “We still have some of the local permits to get, and that’s in process, but we’ll have to wait until all of that wraps up before we can actually start producing and storing anything here,” Tate said in a telephone interview from his office at the distillery in Waco, Texas. The distillery is still under construction in an industrial park near Waco’s airport, and work is expected to begin soon on a new building that will serve as a maturation warehouse for Tate’s whiskies and other spirits. He has stocks of brandy distilled last year for him at another distillery that will eventually be moved to the new site, but plans to focus on making whiskey as soon as possible. “Barring something really unforeseen, catastrophic, it should be first quarter next year, but we’re going to shoot for the beginning of next year,” Tate said. “We’re on pace for that now,” he explained, noting that there still remains some fabrication work to be done on the six stills Tate is building himself along with other work that must be completed before distilling can begin. 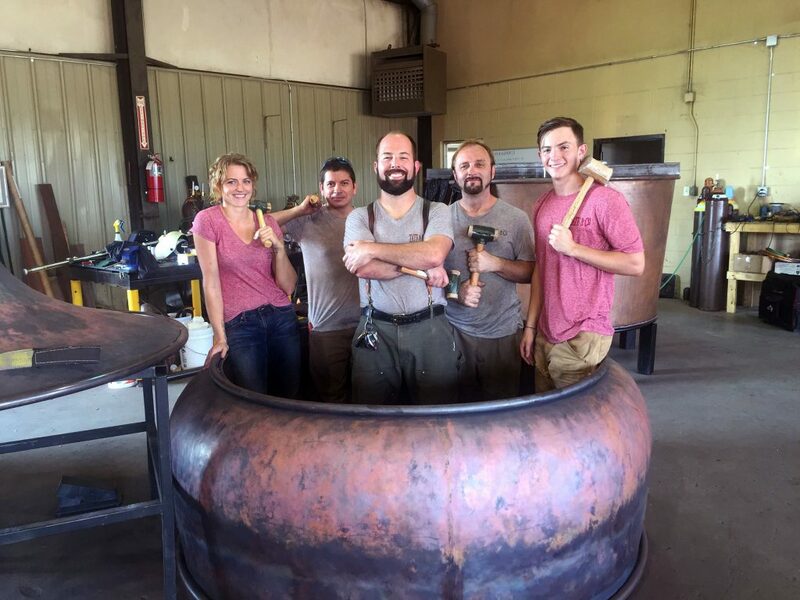 Tate built his reputation on the stills he designed and built himself as the founder of Balcones Distilling in Waco, and has started building stills for other craft distillers as well, with one scheduled for delivery to a New York distillery in the coming weeks. As Tate told WhiskyCast in a February 2016 interview, he had hoped to begin distilling in the spring of 2016 after the expiration of his non-compete agreement with Balcones Distilling. That agreement banned him from making whiskey for 15 months after he left Balcones in 2014 following a lengthy dispute with the distillery’s majority investors. 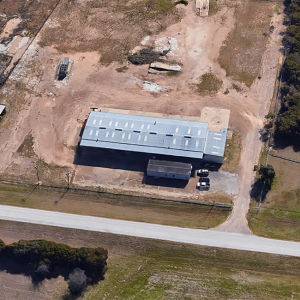 Tate used the money from the sale of his remaining interest in Balcones to acquire the Tate & Company site and begin work on the new distillery, but ran into a number of delays along the way.